Reception pupils have taken to school like ducks to water! 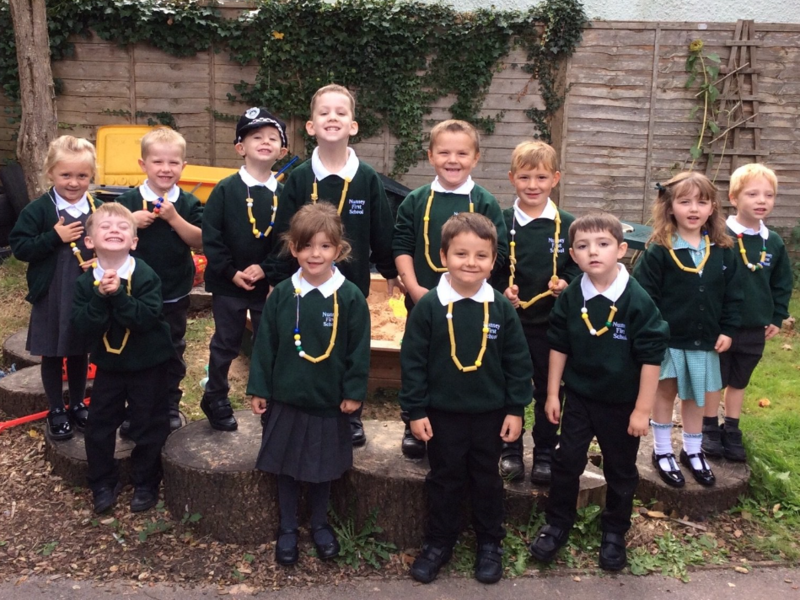 Here they are in their first week at school, proudly wearing necklaces they have threaded, each containing the number of beads (including pieces of pasta!) they could accurately count – an example of the rich, play-centered learning the children will have access to across the year.